Former Chelsea striker Tony Cascarino has launched a stinging attack on Eden Hazard for his Panenka penalty antics in the Carabao Cup final. The Blues were beaten in the showpiece event at Wembley after a tense 120 minutes of action, with penalties needed to decide the game after the scoreline finished 0-0. City emerged victorious 4-3 in the shootout, after Jorginho and David Luiz missed from 12 yards for the Blues, retaining the trophy they won 12 months earlier. Chelsea were arguably the better side over the course of the game, with Hazard operating as a false nine in a tight formation which stifled the creativity of Pep Guardiola’s men. 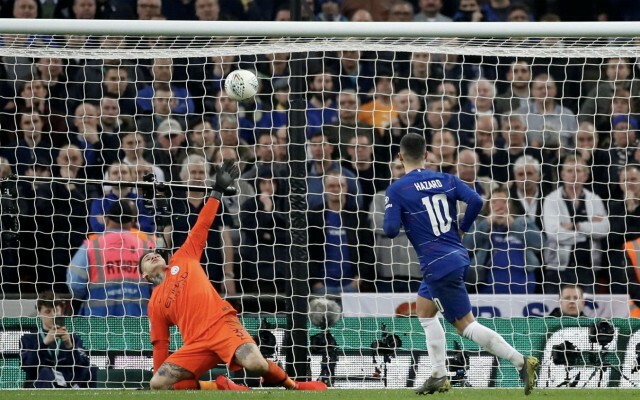 Hazard capped a fine individual display on the day with a superb Panenka penalty in the shootout, showing nerves of steel to chip the ball over Ederson and into the roof of the net. The audacious strike has been widely praised among fans and experts, but Cascarino, who played for Chelsea during the 1991-1992 season, has come out with an expletive rant blasting the Belgian winger for his ‘unprofessional’ behaviour. 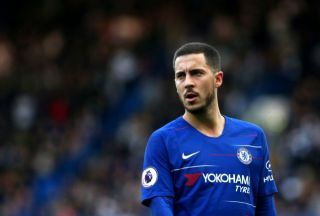 “Hazard is by no means captain material but he should be one of the senior players leading by example,” Cascarino said in his column for The Times. “Instead he was taking the mickey with his Panenka penalty in the shoot-out against Manchester City. It was bordering on ridiculous. Chelsea were beaten 6-0 by City at the Etihad Stadium two weeks prior to the final and their improved display against the Premier League champions this time around should have earned them plenty of plaudits, but ultimately, one incident overshadowed the entire contest. Blues goalkeeper Kepa Arrizabalaga refused to come off as a substitute for Willy Cabellero during extra-time, which provoked a furious reaction on the touchline from club boss Maurizio Sarri. Cascarino believes that Kepa’s actions combined with Hazard’s unnecessary penalty technique highlight the problems behind the scenes at Stamford Bridge, with player power quickly becoming the club’s biggest issue.